← What’s the title of this blog? I’ve rewritten this post about three times as I have tried to get the tone right. Autumn has always been to me a time for reflection though in my younger years it was enlivened by my birthday in October which would be closely followed by Guy Fawkes night and then on to Christmas. These days another birthday is of little consequence – although the arrival home of Verity for my birthday was a wonderful surprise. This, sadly, was tempered by the premature passing of my cousin Dave at the age of 55, which put me back into reflective mode. Attending a funeral of one of our peers reminds us that there is no point in hanging about – life is out there and it is not waiting for you so it was apt that two days later Mrs B was running 10 miles in the Great South Run to celebrate her own good health three years on since Lymphoma and stem cell transplant. So as the clocks go back and the nights draw in one must be thankful for one’s blessings and to look forward, which is exactly what one does in the garden, as we start planning for next year. 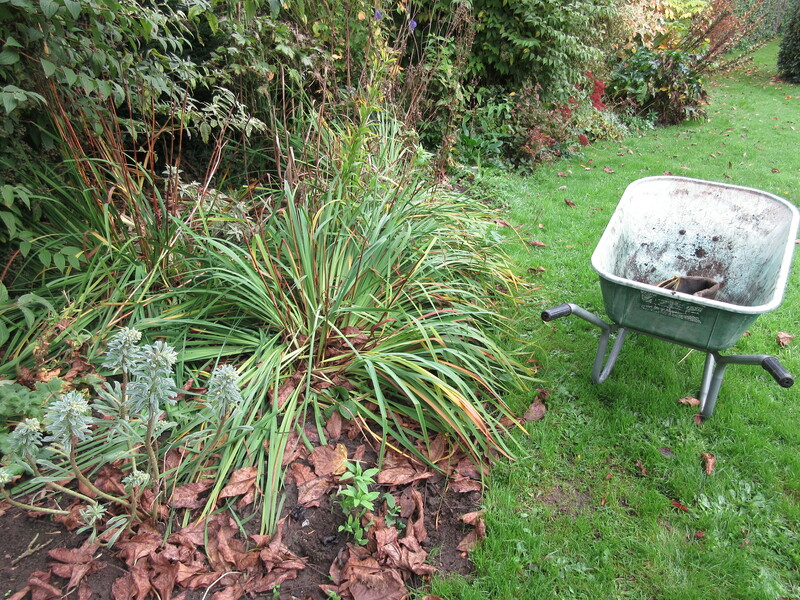 We have been designing a new border, planting out Sweet Williams and other perennials, and planting garlic. 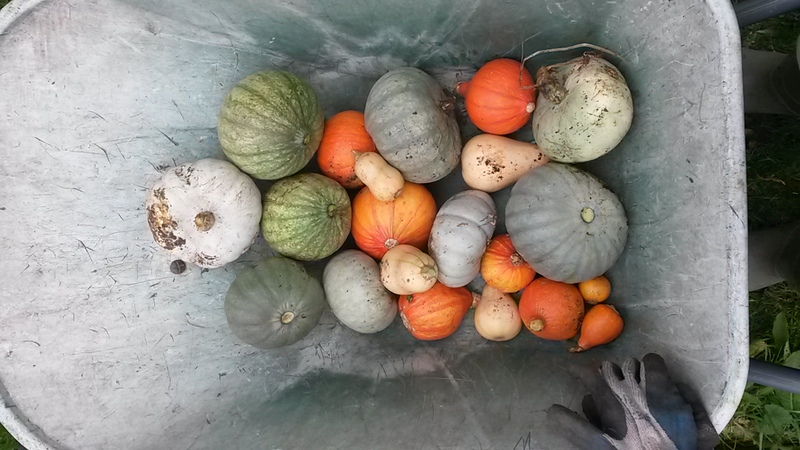 We have also cleared the last of the squashes (much smaller than last year for some reason) and harvested the last of the green peppers and aubergines – which were also disappointing in size and number. So we will be looking to rectify what might not have gone right this year and trying to add new and different aspects to the garden. So, as I had a couple of spare days at half term I took time to make the extension to the Boomerang bed. Not sure what to call this…the didgeridoo? I shuffled plants in the Boomerang and the Silver Wedding, putting the Veronicas together in the former and splitting the irises in the latter (hard work, that one). I surprised myself by how many plants I had for stocking the bed: as well as the Rudbeckia Marmalade and leftover Sweet Williams that we had grown from seed, there were a whole bunch of perennials that I had acquired as a bargain plug plant offer last year, and a lot of them have been doing nicely up by the top greenhouse over the summer and look ready for planting out now. It’s almost like a planned it all along. It was potentially back-breaking work, but immensely satisfying. The great summer of 2016 starts here (or at least the planning does). 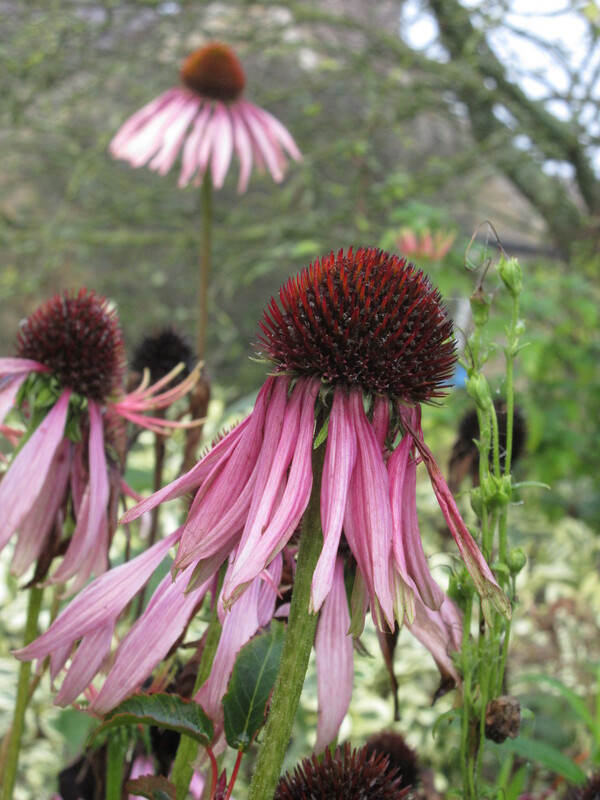 This entry was posted in Gardening Times and tagged Aubergine, autumn, echinacea, garlic, green peppers, irises, rudbeckia, squashes, sweet william, veronica. Bookmark the permalink.